After encountering a mysterious woman dressed in white, a young man is pulled into a plot where nothing is as it seems. Full of love and deception, madness and machinations, The Woman in White by Wilkie Collins thrilled readers when it was first serialized in 1859, and its moody atmosphere, exploration of women’s rights, and twisty plot make it just as exciting and relevant today. 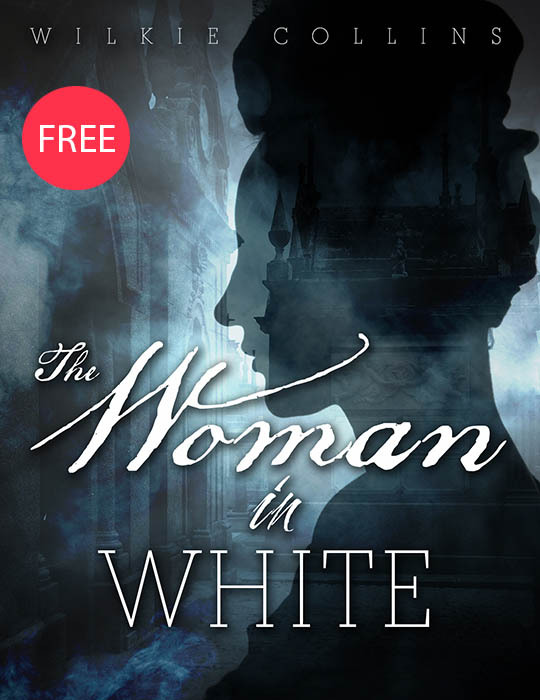 Serial Box is proud to present this classic novel—one of the first mysteries ever written—for free in written digital form, alongside the sequel, A Most Dangerous Woman by Brenda Clough, where The Woman in White's heroine finally gets the story she deserves. The mystery begins in episode 1 of The Woman in White by Wilkie Collins. 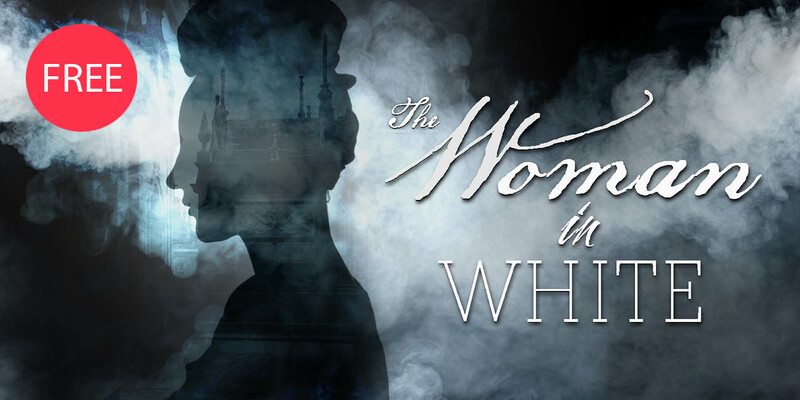 The mystery continues in episode 2 of The Woman in White by Wilkie Collins. The mystery continues in episode 3 of The Woman in White by Wilkie Collins. The mystery continues in episode 4 of The Woman in White by Wilkie Collins. The mystery continues in episode 5 of The Woman in White by Wilkie Collins. The mystery continues in episode 6 of The Woman in White by Wilkie Collins. The mystery continues in episode 7 of The Woman in White by Wilkie Collins. The mystery continues in episode 8 of The Woman in White by Wilkie Collins. The mystery continues in episode 9 of The Woman in White by Wilkie Collins. The mystery continues in episode 10 of The Woman in White by Wilkie Collins. The mystery continues in episode 11 of The Woman in White by Wilkie Collins. The mystery continues in episode 12 of The Woman in White by Wilkie Collins. The mystery continues in episode 13 of The Woman in White by Wilkie Collins. The mystery continues in episode 14 of The Woman in White by Wilkie Collins. The mystery continues in episode 15 of The Woman in White by Wilkie Collins. The mystery continues in episode 16 of The Woman in White by Wilkie Collins. The mystery continues in episode 17 of The Woman in White by Wilkie Collins. The mystery continues in episode 18 of The Woman in White by Wilkie Collins. The mystery continues in episode 19 of The Woman in White by Wilkie Collins. The mystery continues in episode 20 of The Woman in White by Wilkie Collins. The mystery continues in episode 21 of The Woman in White by Wilkie Collins. The mystery continues in episode 22 of The Woman in White by Wilkie Collins. The mystery continues in episode 23 of The Woman in White by Wilkie Collins. The mystery concludes in episode 24 of The Woman in White by Wilkie Collins. By clicking 'Sign up' you agree to our Terms of Service. Can't login? Reset your password. Read every Serial Box story on our app!